Industries Minister Nurul Majid Mahmud Humayun on Sunday said one stop service would be set up at the industrial estates to ensure necessary government services there speedily. 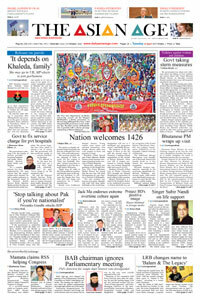 "One stop centers will act to provide government services more effectively to help flourish the potential industrial sectors," he said while addressing the inaugural ceremony of 'Baishakhi Fair-1426' held on the Bangladesh Academy premises.Bangladesh Small and Cottage Industries Corporation (BSCIC) in partnership with the Bangladesh Academy have jointly been organizing the 10-day fair. Kamal Ahmed Majumder said arrangement for display and sales of small and cottage products should have to be made at all international airports to attract foreign buyers.He also stressed the need for making available financial support for the small and cottage entrepreneurs.During the function, 'Karushilpi Award-1425' was given to nine best craftsmen out of 65 participants through competition.